The Southeastern Raptor Center offers diverse opportunities for those in the community and college students to be involved. We have a multitude of opportunities for volunteers: raptor husbandry (cleaning and feeding), educational programs, training birds of prey, avian medicine and data entry. We also offer externships for fourth-year veterinary students and unpaid internships for undergraduate or graduate students in wildlife science, ornithology, zoology, conservation biology and other similar concentrations. The Southeastern Raptor Center is heavily dependent on volunteers for much of our operations. Volunteers are able to help in the education unit as well as the rehabilitation unit. 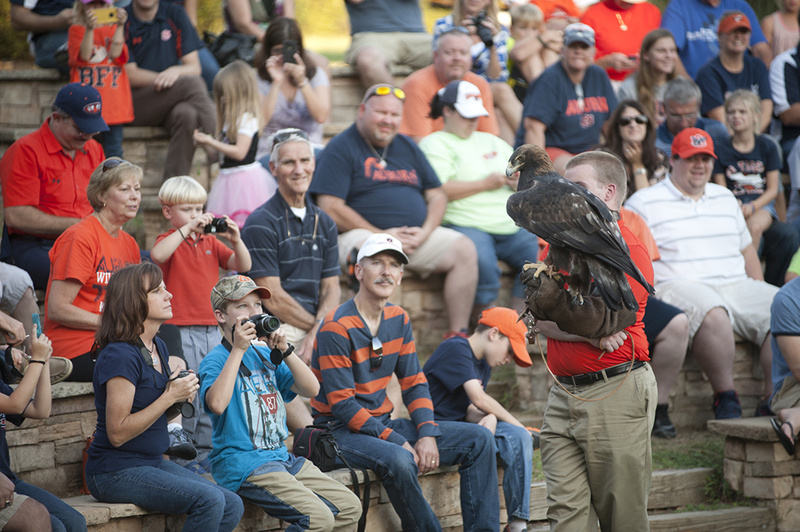 This includes educational programs and training birds of prey used for these educational programs.